(Reuters) – Defense Secretary Chuck Hagel on Wednesday approved a strict, 21-day quarantine-like monitoring period for all U.S. troops returning from the Ebola relief mission in West Africa, the Pentagon said. Hagel, acting at the recommendation of top military commanders, signed a memo asking for an implementation plan for the monitoring regimen, Rear Admiral John Kirby, the Pentagon press secretary, said in a statement. Hagel also called for a review of the decision in 45 days to evaluate “whether or not such monitoring should continue based on what we learn and observe from the initial waves of personnel” returning from the West Africa relief mission, Kirby said. 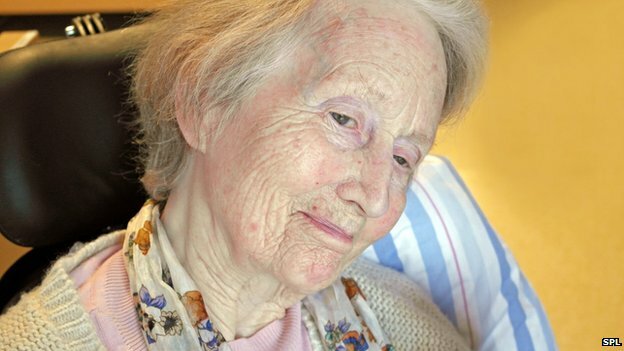 Dementia is the leading cause of death for women in England and Wales, official figures show. The disease now kills more than three times as many women as breast cancer and thousands more than either heart attacks or stroke. Analysts say the rising numbers may be because doctors are becoming more aware of the disease and recording it on death certificates more frequently. World Health Organization (WHO) Assistant Director General Bruce Aylward gestures during a news conference at the organization’s headquarters in Geneva October 29, 2014. (Reuters) – Liberia, the country worst-hit by the Ebola epidemic, may be seeing a decline in the spread of the virus, although the battle to contain the outbreak is far from won, the World Health Organization said on Wednesday. WHO Assistant Director General Bruce Aylward told a news conference the number of burials and new admissions had fallen and there was a plateau in laboratory-confirmed cases. Google is aiming to diagnose cancers, impending heart attacks or strokes and other diseases, at a much earlier stage than is currently possible. The company is working on technology that combines disease-detecting nanoparticles, which would enter a patient’s bloodstream via a swallowed pill, with a wrist-worn sensor. Centers for Disease Control and Prevention (CDC) Director, Dr. Thomas Frieden, speaks at the CDC headquarters in Atlanta, Georgia September 30, 2014. (Reuters) – The Obama administration on Monday recommended voluntary home quarantine for people at the highest risk for Ebola infection but said most health workers returning from West Africa would simply require daily monitoring without isolation. The corporate logo of the U.S. Food and Drug Administration (FDA) is shown in Silver Spring, Maryland, November 4, 2009. (Reuters) – Sarepta Therapeutics Inc suffered yet another setback after U.S. regulators asked for more data on its experimental muscle disorder drug, a move that further delays the marketing application for the treatment. Nearly a third of Sarepta’s market value was wiped out on Monday after the company disclosed the U.S. Food and Drug Administration’s decision on eteplirsen, its lead drug. The American Association of Clinical Endocrinologists (AACE) continued its push for diabetes-related legislation in a recent letter to members of Congress. The letter, signed by AACE president Mack Harrell, MD, and president-elect George Grunberger, MD, called for the passage of two bills: the Medicare CGM Access Act and the National Diabetes Clinical Care Commission Act. It also asks Congress to conduct follow-up hearings to examine FDA’s pre- and post-marketing surveillance and enforcement activities for medical devices, along with a call for a review of Medicare’s competitive bidding practices. Governors of New Jersey Chris Christie (R) and of New York Andrew Cuomo speak during a news conference about New York’s first case of Ebola, in New York October 24, 2014. (Reuters) – The White House is pressuring the governors of New York and New Jersey to reverse their orders imposing a quarantine on all medical workers returning from West Africa who had contacts with Ebola patients, the New York Times reported on Sunday. President Barack Obama leans over to hug Dallas nurse Nina Pham while meeting with her in the Oval Office in Washington, October 24, 2014. (Reuters) – The first person quarantined under strict new rules in the New York City area for people with a high risk of Ebola tested negative, New Jersey officials said on Saturday, as President Barack Obama said the response to the deadly disease needed to be based on “facts, not fear”. 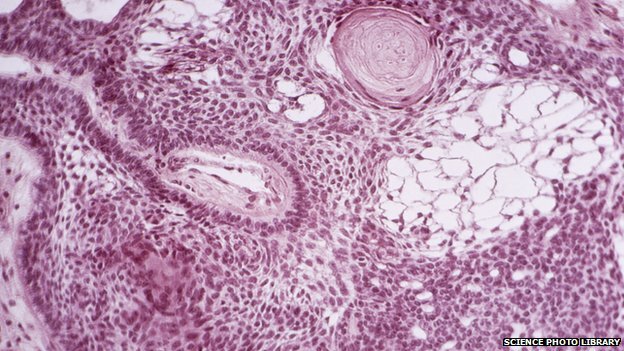 In experiments on mice, the stem cells were genetically engineered to produce and secrete toxins which kill brain tumours, without killing normal cells or themselves.